Mega Drive games have been re-released on multiple platforms over the years with varying degrees of success in terms of emulation quality. For an older machine, the Mega Drive seems to be particularly difficult to reproduce. For every success, such as the collection released on the Xbox 360, there have been failures such as the Gameboy Advance version of the original Sonic the Hedgehog. Whilst emulated collections often add new features such as online multiplayer, leaderboards and development videos none of these things really matter if the core experience differs significantly to the player’s memory of playing the games. Memory can be a fickle thing, so creating the right atmosphere with a collection is vital. With the Mega Drive Classics collection, SEGA has absolutely nailed it. Upon starting the Mega Drive Classics Collection players are presented with a menu system designed to look like a bedroom from the early 1990s. 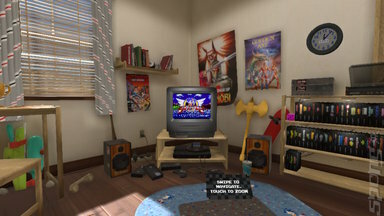 The attention detail is spot on, from the videogame posters on the walls to the speakers connected up to a 14" CRT TV and Super Soaker 500 resting underneath a table. 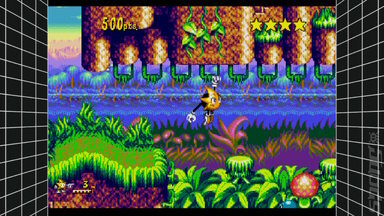 Players can choose from different options by selecting an object, so for example sound settings can be changed via the stereo and emulation options by focusing on the Mega Drive itself. Games can be selected by focusing on the bookshelf next to the bed and zooming in. All of the details in the room certainly reminded me of my own bedroom during the early 90s, with one exception, the huge stack of games on the shelves. I only ever owned about 6-7 games for the Mega Drive, given how expensive they were. I could only have dreamed of having access to such a library. 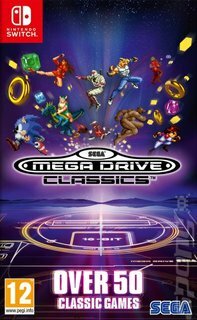 Mega Drive Classics includes 51 games of varying degrees of quality. My first choice was naturally Streets of Rage 2, one of the greatest games ever made, largely because of the fantastic soundtrack. The emulation quality is excellent, particularly the sound which doesn’t appear to suffer from any of the usual problems that seem to plague such re-releases. 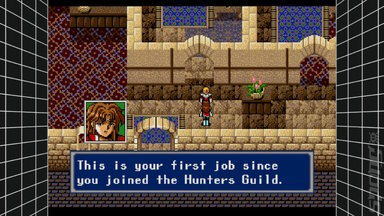 The emulator can be modified to allow for the usual options such as scanlines and pixel scaling. There’s even the option to disable sprite limits which can improve performance in some games, although this can result in graphical glitches. Whereas Nintendo’s recent retro re-releases on the Switch have been rather barebones in terms of the options presented, SEGA’s effort is far more well-rounded with plenty of opportunities to tweak settings in order to recreate the image the player remembers. The collection of games on offer is a curious one, as for every classic like Sonic the Hedgehog and Golden Axe there is a Bonanza Bros or Virtua Fighter 2. Other games are notably absent, the most obvious of these being Sonic the Hedgehog 3 and Sonic & Knuckles. Both of these games are frequently missing from retro collections, allegedly because of issues with music licensing. It’s a shame because this compilation feels rather incomplete without them. 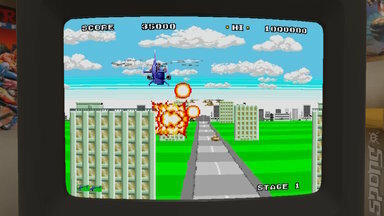 The vast majority of the games provided are from the earlier years of the Mega Drive. Some of have aged exceptionally poorly, such as Kid Chameleon and Alex Kidd and the Enchanted Castle. However, overall the selection on offer is decent and provides a good representation of why the Mega Drive was such an important console. 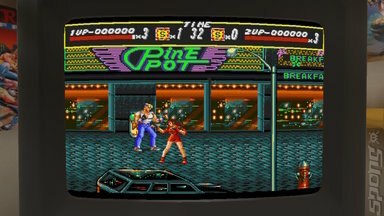 I still got a tremendous kick out of playing Streets of Rage in co-op. This is particularly easy on the Switch as it’s always possible to hand another player a spare Joycon. In addition, the collection offers online multiplayer. Unfortunately, at the time of writing (prior to the game's release) this was not available to me as I was unable to find any active games. Given the nature of the platform it’s probably unlikely that a thriving community will develop around this compilation, but it’s certainly a welcome addition. The game also features ‘Feats’ and ‘Challenges.’ Feats are simply achievements that can earned within each game for completing tasks such as ‘Win 50 games of rock, papers, scissors in Alex Kidd or maxing out the magic meter in Golden Axe III. Challenges focus on beating aspects of each game within time limits or with limited items. Whilst I can’t see myself spending much time trying to complete these extras they do provide the opportunity to dig a bit deeper into each game in the collection and are a welcome addition. I was a little disappointed with the lack of historical material included within the game, but when the quality of emulation is this good, this perhaps doesn’t matter so much. The developers at d3t Ltd have done an excellent job with this compilation and in terms of emulation quality on the Switch I really couldn’t have hoped for more. The quality of the audio, an area that is often overlooked, is excellent and the emulator as a whole feels exceptionally solid. However, whether the collection is worth your time or not will really depend on the selection of games on offer. Whilst the games provided do give a good snapshot of the Mega Drive's catalogue there are some glaring omissions. However, if you’re a fan of Treasure’s 16-bit output you can’t really go wrong with this selection. 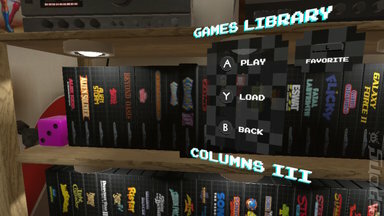 The virtual shelf menu in Mega Drive Classics appears to be three quarters full, I’m hoping that perhaps the extra space may one day be filled with some of the other classics from this era such as Wonderboy and the later Sonic games, perhaps by the DLC route. A lot of care and attention has clearly gone into this collection and d3t Ltd and SEGA should be commended for their attention to detail in keeping this generation alive. I just hope that in the future we might see a further compilation including more third-party releases.